Real Food Daily: Earth Day! Celebrate the earth, eat environmentally friendly! What better way to honor Earth Day than to prepare a dish that's easy on the environment? 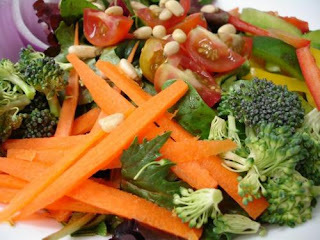 Check out this website chock full of Earth Day recipes, featuring seasonal fruits and vegetables. Look for spring gems like asparagus, blueberries, cabbage, cauliflower, mushrooms and peas at your nearest farmer's market. Eating local supports your economy and involves fewer miles traveled - and fewer pollutants emitted - to get dinner on your plate.